ABRACADABRA! 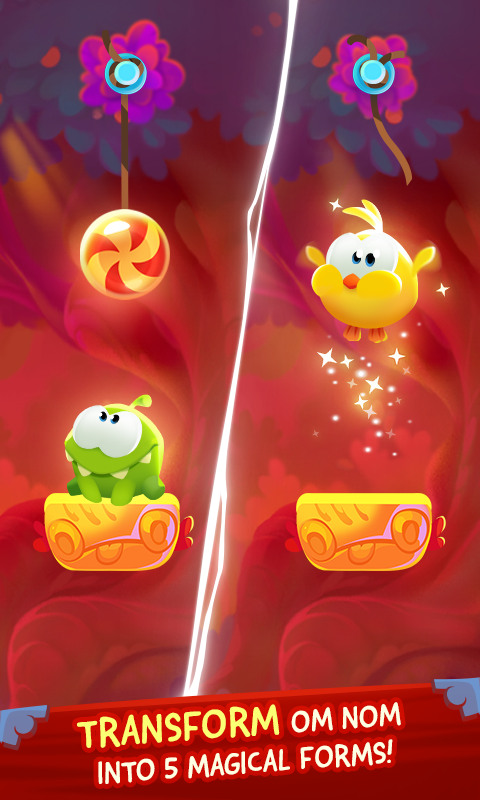 After more than 960 million downloads, the Cut the Rope series returns with a magical new sequel: Cut the Rope: Magic! 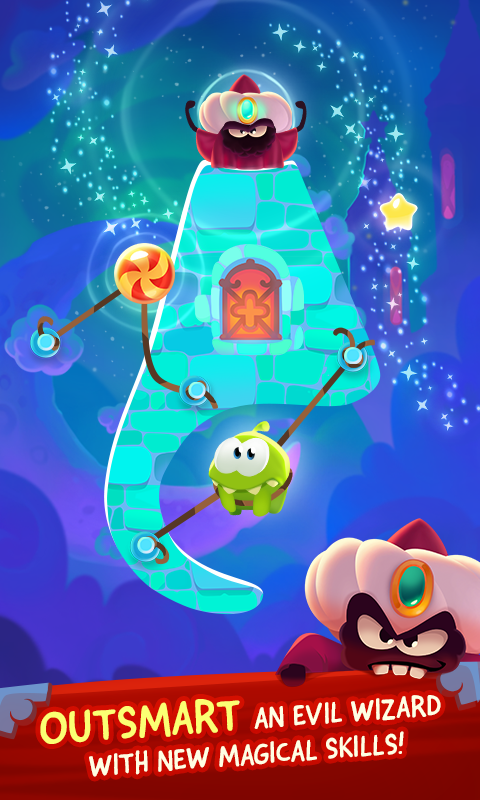 Join Om Nom’s newest adventure and transform him into magical forms to help the lovable little monster recover candy stolen by an evil wizard! 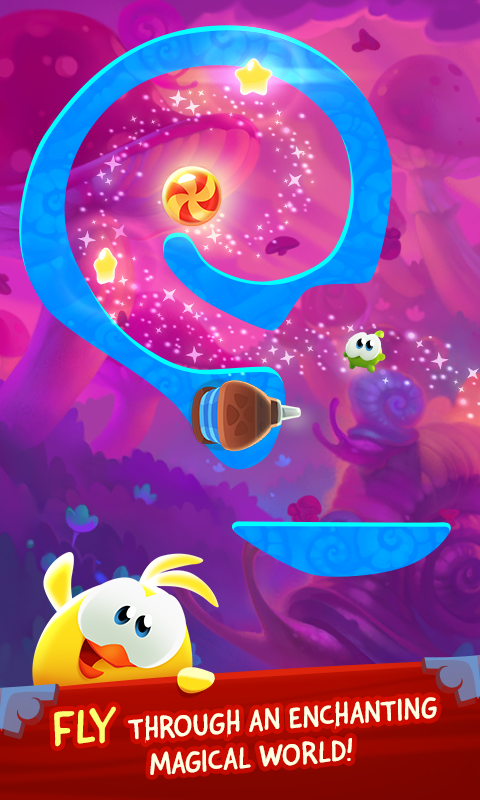 EXCITING NEW FEATURES - A magical world with completely new graphics, sound and gameplay elements - 6 ways to transform Om Nom into magical creatures along his journey - Complex boss levels that will challenge your candy-crunching, rope-cutting skills - 160+ all-new puzzles, with more coming soon A magical mishap has accidentally teleported Om Nom to a mystical world filled with challenging puzzles for players of all ages. 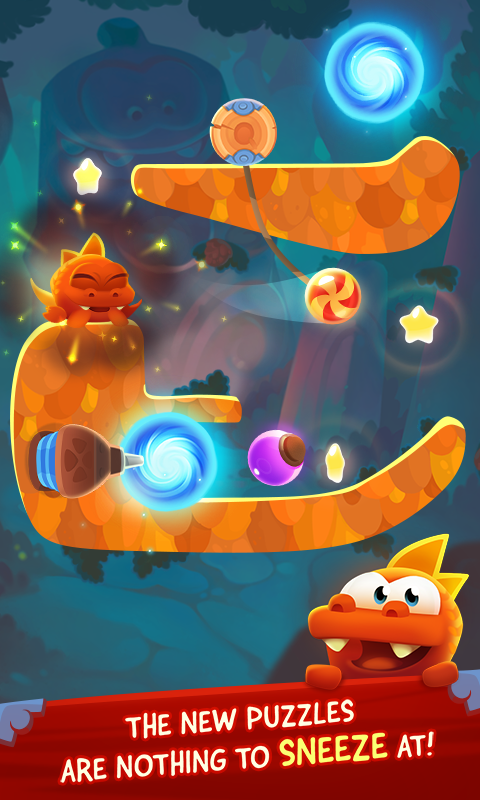 Can you use Om Nom’s new skills to solve an evil wizard’s tricks and traps?